Delphos St. John’s Lego robotics team competed recently. 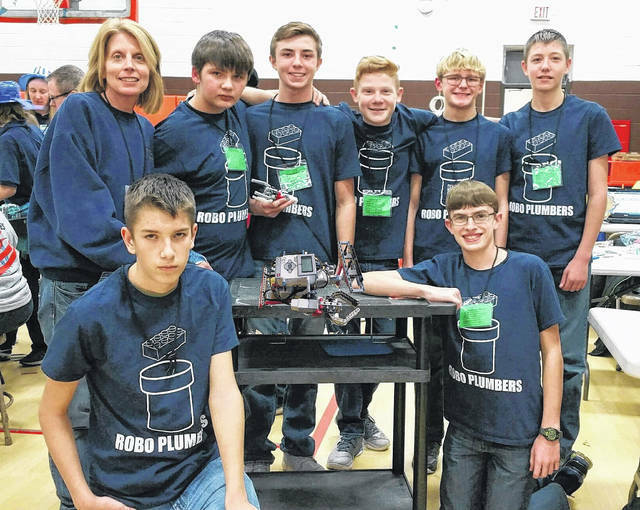 DELPHOS — St. John’s Junior High Robotics group received the Robot Performance Award while competing at the Sulvania Stem Regional Qualifier on Dec. 9. The award was for scoring the most points during the Robot Games. They competed against 23 other teams in two and a half minute matches, earning points for each match.